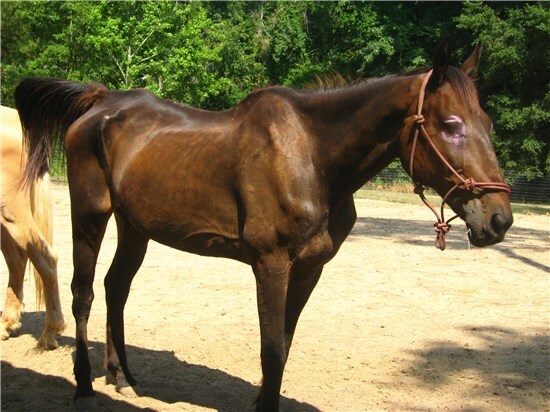 Here are some success stories of rehabilitated horses that have been sold at previous GDA sales or are still at one of the impound barns and will be available at one of the upcoming sales. 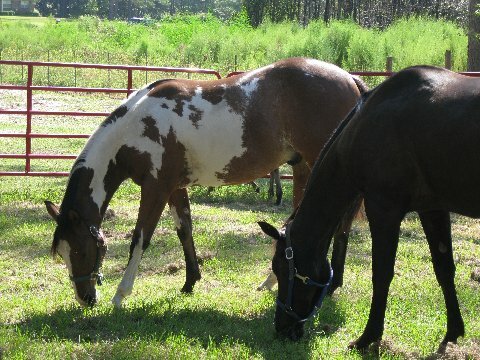 Franklin now Rope shown here with Scout now Cisco in their Happy New Home Together! 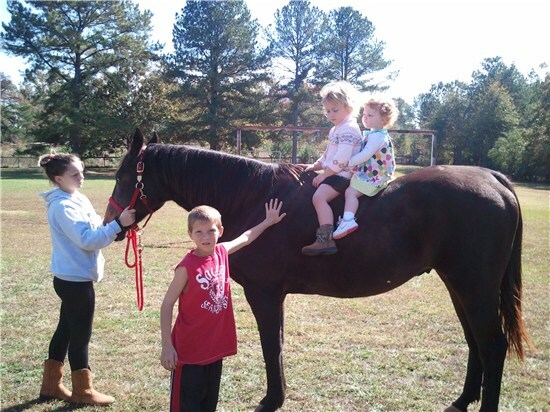 and these are their grandkids, Brianna, Elijah, Brooklyn and Chloe. They are loving him and spoiling him rotten! 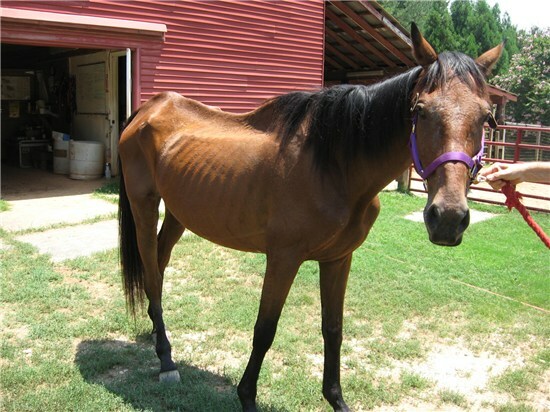 DANTHEMAN was the thinnest, weakest horse ever to come to the Decatur Impound still able to stand and walk. He was staggering when he got off the trailer and wobbled to the stall. 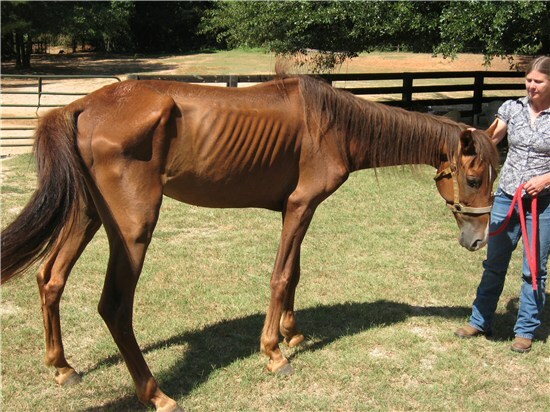 His owners excuse for his condition was “He won’t eat.” We found that he had a ravenous appetite and had to be careful not to feed him too much at first. Dan’s other problem was that he was a Cryptorchid, meaning he had a retained testicle. 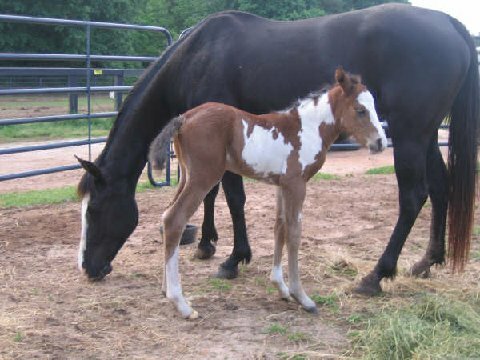 He was unable to be castrated without major surgery. This is a very expensive operation and GDA does not have the funds to do this. Dr. Lowder and Dr. Mueller from UGA arranged for Dan to be castrated at no charge to the State. This operation was very successful and DANTHEMAN has fully recovered and is beautiful. 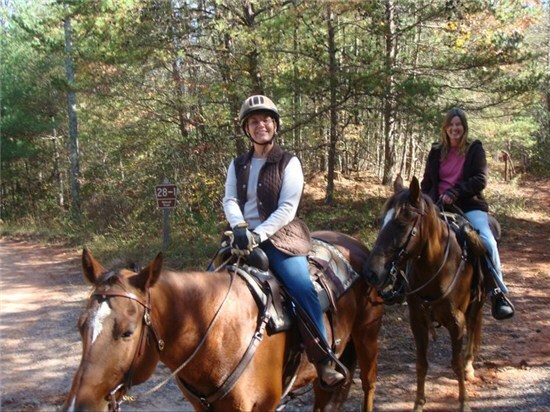 Dan is an 8 yr. old, 15h, liver chestnut, gaited gelding and is very smooth and mannerly to ride. 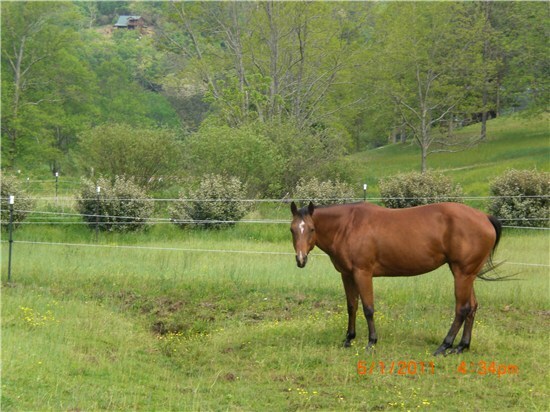 He was recently sold at our Impound Auction on 7/23/11 in Mansfield. 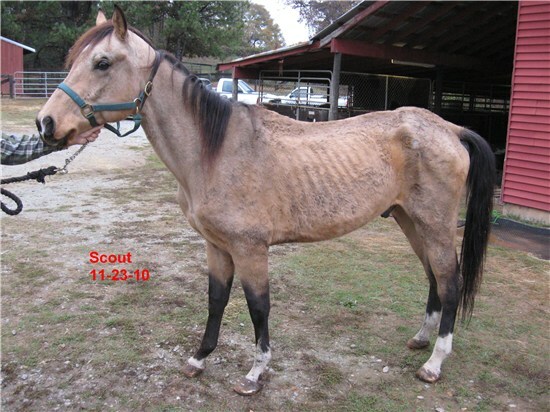 Scout was a severely emaciated stallion when he was first brought to the Decatur Impound Critical Care Facility. Scout was given his name by the Girl Scout Troop # 27404 out of Decatur. 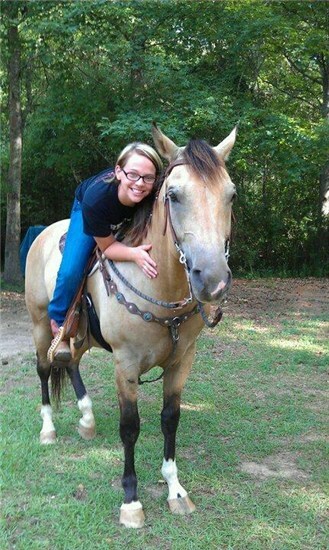 The Troop raised $1000 for his rehabilitation through the sale of horse cookies at the local horse shows. He weighed only 678lbs at this time. 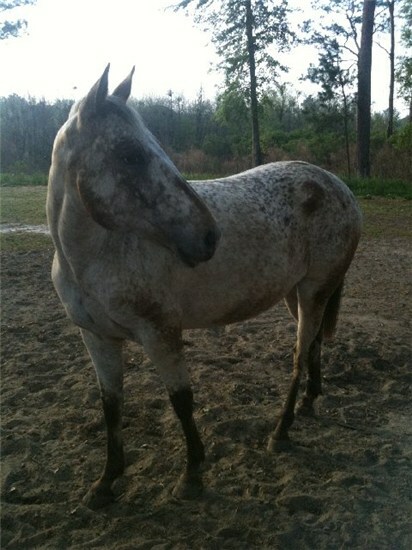 All four of his hooves were extremely long and neglected. His hind hooves were so bad they were "slipper toed" and had to be cut with a hacksaw. 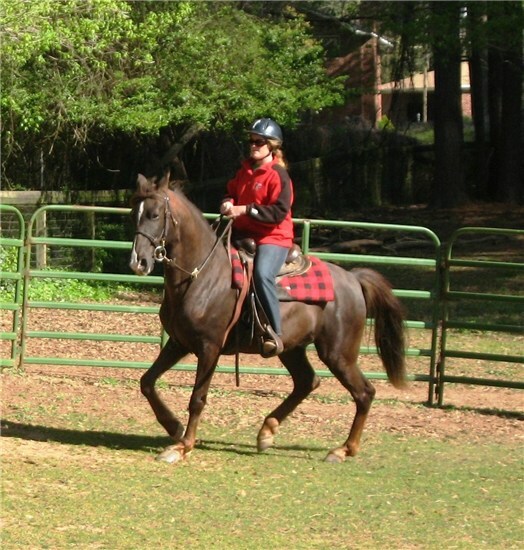 GERL (Georgia Equine Rescue League), paid for his castration through their Stallions to Geldings program. 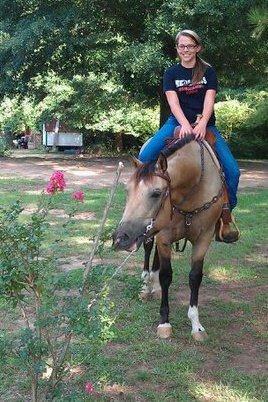 Scout has fully recovered and was sold at the Impound Auction on 7/23/11 in Mansfield. His sale weight was 1033lbs! He is very happy at his new home, with a new name, Cisco. He's Pictured below with his new loving owner! What a success story!!! 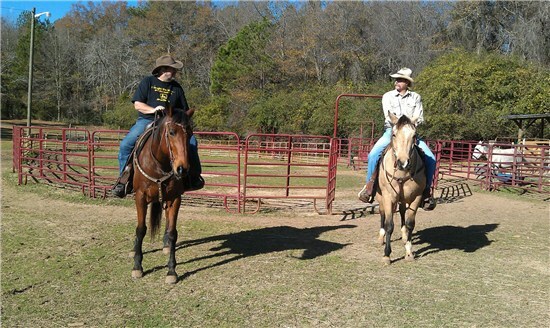 Foxy Lady, FKA, Dixie with her loving owner, Dotti Carter. Check back for her story!! HALO and WINGS rehabilitated and soon to be ready our Impound Auction 2008. Please check back for Halo, Wings and Rosebud's Stories! Coming soon! If you have a story to add please email us.